Fan-driven subculture glued together by cons. Fan activity is largely informal. Few organizations direct it. But conventions do have that power to glue activities together. People go there because if you see an online friend face to face, even once a year, it keeps relationships real. When there were few cons, the collapse of one could set back activity in a big way. That’s no longer true with so many cons in the world. For a long time, cons concentrated the power to glue activities together. Meets and parties were local, and not very established or formal. That may be changing. When an activity reaches a certain level of support, with a certain population size – it gains a life of it’s own. It grows from the base, by natural support. Of course, fandom IS independent like that. But you can still talk about the difference of events that leave the shadow of cons. If formal events that aren’t cons take on their own lives, I think it takes Furry to a new level as subculture. The growing trend of “Furclubbing” is a strong sign of this. (Independent furry club and dance parties.) Where will it lead? Cons are centralized and somewhat apart from the community. (Anthrocon is good at overcoming that.) Hotels might be called a “sterile consumer experience“. An alternative could be more of a festival concept- like film festivals, fairs, and other culture events. Those may be tied in to dense, urban areas with a lot of fans and things to do in one place. In my interview with Neonbunny, promoter of Frolic, he talked about a difference between types of club entertainment. In smaller towns, clubs hire their own. In cities with strong nightlife culture, they hire outside promoters to bring it. I think the independence encourages creativity. That’s why I think it would be good to see more independent furry events. I like the idea of synergies from dense locations, and other successful attractions – like a “Furry Film Festival” at the same time as another festival. The “Furry Film Festival” idea was posted here. Some pros talked to me about how it could run. A touring film festival that goes around to all the cons could have built-in demand. Con “movie room” programming doesn’t offer that much attraction beyond “let’s kill some time.” A touring fest could offer higher quality curation that serves as it’s own attraction. It could take programming off the hands of con staff. It could play to much more than one Furry con audience (AND anime or comic cons, or even standalone shows.) It could handle copyright stuff once for all of it’s shows, and attract original submissions. I was casually offered venues to start one. People I talked to (like event production and journalism pros) think it’s a good idea, past due, as worthy as other successful “oddity” festivals, etc. The challenge is dedicating effort to start it, and keep it going. It’s almost like putting on a con itself. At Further Confusion, every year visitors make trips from San Jose to San Francisco. There’s more to see and do there. Cons in suburbs don’t offer as much. Costs of a con in a big city can be prohibitive. It’s a reason why they don’t start there- but if they did, it’s smart to consider coinciding with other attractions. What if you make a festival weekend of events without arranging a hotel? A city can offer amenities like car sharing and shuttling between venues to help. Isn’t hotel block booking more about securing a venue than getting price breaks, anyways? A festival could overcome the insular thing where everyone is there to see each other, and there isn’t that much connection with the outside community, sponsors or vendors. (It’s one reason why I advocate Street fursuiting as cooler than just hanging out in a hotel and performing to each other.) Like in-jokes, in some ways it’s good, in some ways not. 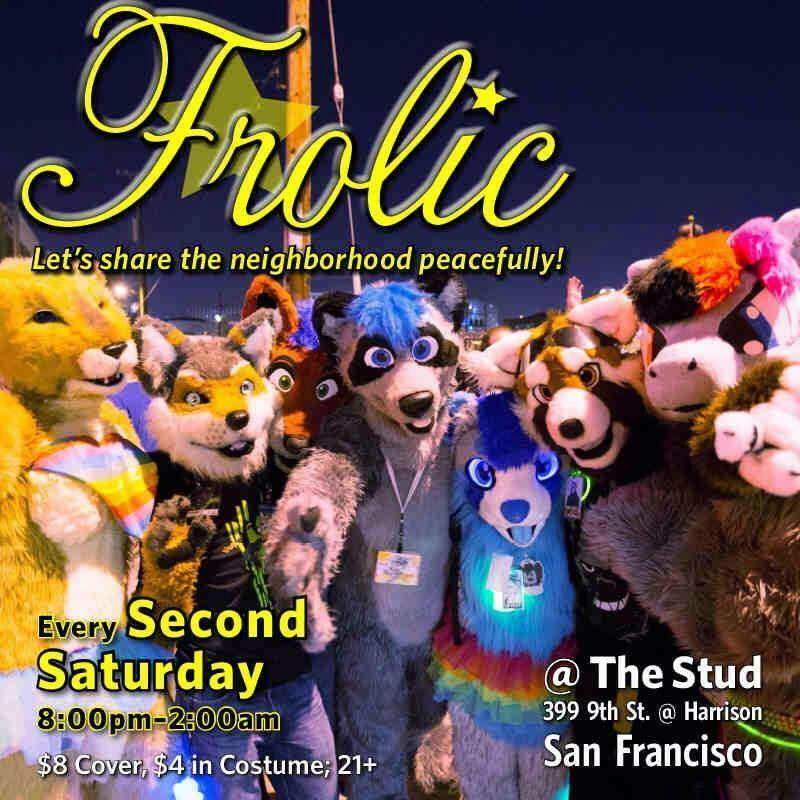 Don’t discount other locations… but the San Francisco Bay Area is said to have “the world’s most dense furry population.” I could see San Francisco giving community acceptance to a furry fest because it already has some really weird fairs and events as institutions. Imagine furries and fursuiters all over the streets going between spread out events. What sort of events could you plan for it, that differ from everything every congoer has already done? This week’s events could be a model of such activity. Here’s hoping it keeps growing. In time, perhaps it may attract far away attendees, who make it a con that was never planned to be one.